CrossFiters the world over, including CrossFit Almaden athletes, have gotten together, formed teams, and entered adventure races like the Tough Mudder, Warrior Dash, Spartan Race or, the more “real-world scenario”, (haha), Run For Your Lives. Like running the gauntlet of challenges in Ninja Warrior, these races are all great events outside of CrossFit that allow us to express our athletic prowess and heightened fitness that we’ve worked so hard to forge, and do so in a very fun “play” like way while in an outdoor environment. While being great fun, these events are sometimes more about the “race” and not about building strong team dynamics. There’s a group of former Special Forces Operators and a company called GORUCK that produce some of the very best quality rucksacks (really expensive backpacks, basically) in the world, made entirely in the USA. To test their gear, they started the “GORUCK Challenge”, bringing much of their many years of Special Forces training and experience into creating the 10+ hour long challenge. Since then, it has grown and evolved into much, much more, and now includes challenges for all levels, including a 4-5 hour “GORUCK Light”, a 24+ hour “GORUCK Heavy”, and their most demanding Challenge by far, having only a 10% expected pass rate, the 48+ hour “GORUCK Selection”, based largely on Special Operations schools (such as Special Forces Assessment and Selection). Unlike the countless adventure races, the mission based GORUCK Challenge is most definitely a team event, never just a race. Armed with only your rucksack and how smartly you packed it, the challenge focuses on teamwork, team building, camaraderie and developing critical leadership skills the Cadre have learned while serving in the nation’s most elite units, in the world’s harshest environments. Leadership is taught and teamwork is demanded on missions spanning the best of your city as Special Operations Cadre challenges, teaches, and inspires you and your team to do more than you ever thought possible. A large group of us from CrossFit Almaden all got together with my good friend Pete Johnson, one of our members from CrossFit Watsonville, and did the Halloween night GORUCK Challenge. It was cold and wet and raining and long, but it was also a lot of fun doing it together with a large group of our community. I am forever grateful for that experience. So why am I writing about this? Because I think the GORUCK Challenge could be a great way for focused CrossFit teams in the area to develop critical leadership skills and team unity in preparation for the rigorous demands of the CrossFit Games season, (especially if they were able, as a team, to complete the arduous 10% pass rate Selection), and all while taking the team outside of the usual grind/comfort of the gym and exposing them to a completely different environment and experience with unknown variables. It could even be a great way for Individual competitors and coaches wishing to help further strengthen their mental toughness and leadership skills to further prepare for unknown things like the Camp Pendleton events of the 2012 Games or unknown challenges that sometimes arise when in a large group setting. 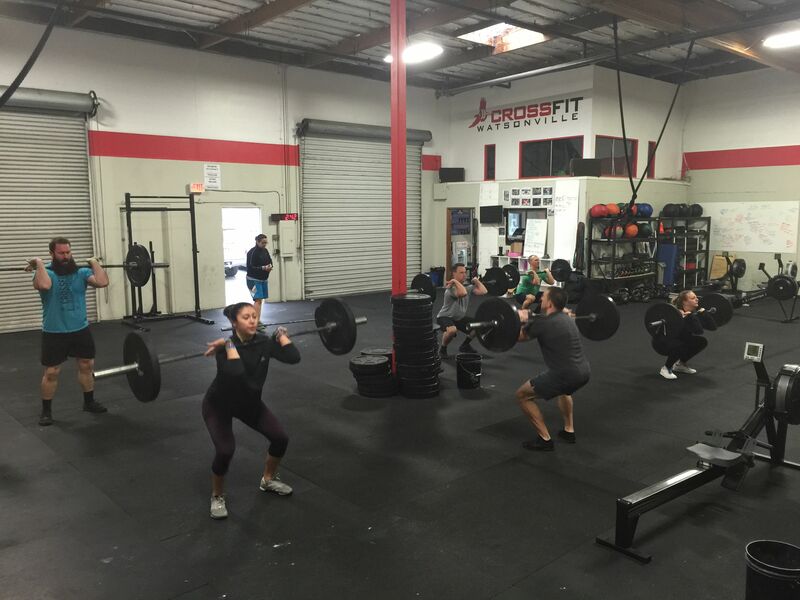 I know full well that CrossFit alone helps strengthen mental toughness, doing “Team WOD’s” helps build teamwork, and group classes help forge this amazing community. Though I think it could well serve us all, both as athletes and individuals, to occasional experience developing our mental toughness, leadership skills, and teamwork in a setting outside of CrossFit, especially a setting where we have the opportunity to learn from this countries finest, our men and women of the Special Forces who serve and protect this great nation. Just as CrossFit has a very high “carryover” into all other aspects of sport and life, the GORUCK Challenges could well have carryover into CrossFit and life. I think it’d be great to get a large group from both CrossFit Watsonville and CrossFit Almaden and all do the Challenge together! Treasured by all who’ve earned them, those who successfully pass any of the GORUCK Challenges are awarded a corresponding patch. A badge of honor, if you will. You can not buy one. They do not sell them. Someone who has earned one would never sell it. Like a scar from battle, it can only be earned. I am going to earn mine. I can’t think of a cooler scenario for earning a Patch than to do so along side those you train with every day, so I’m hoping to earn it with my friends and members of the CrossFit Watsonville and CrossFit Almaden Communities. The entire experience would be SO much more awesome if I was able to to do it with a large group from both our gyms!